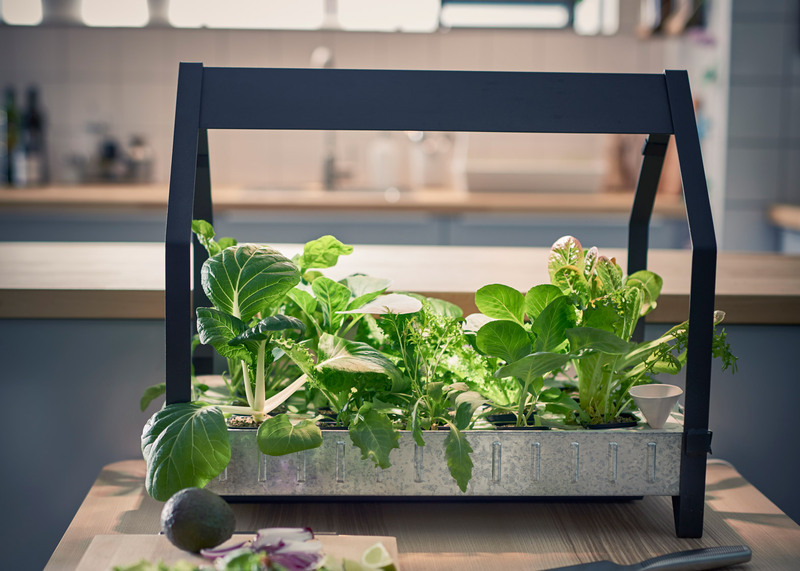 Ikea’s Hydroponic System Allows You To Grow Vegetables All Year Round Without A Garden! Ikea’s indoor garden system is the perfect option for those who wish to grow their own food all year round but don’t have the garden space to be able to do it. Ikea’s indoor hydroponic garden allows anyone to grow fresh produce at home without the need for soil or any previous gardening experience. The hydroponic system of the garden means that adequate light and water are everything that is needed to grow the plants successfully, meaning that there is no need for soil. According to the report, many of the vegetables that are widely available today are grown using this method. The absorbent foam plugs that come with the Ikea system enable the seeds to sprout, and then proceed to keep the seeds moist without over-watering them. Following the germination of the seeds, all that needs to be done is to transfer the entire foam plug into its own separate small pot and fill it with pumice stones, which can retain a lot of water. The pots can then be transferred to a growing tray that is equipped with a solar lamp, which will provide the plants with enough nourishment to last all year round. The system is so efficient that it can even be successful in rooms without any sunlight, although they can be placed on a windowsill that gets a lot of sun if it is convenient. The growing tray is additionally equipped with a built-in water sensor, which ensures that the plants are given the perfect amount of water. Named in the KRYDDA/VÄXER series, the design was born out of a collaboration with agricultural scientists in Sweden, with a target audience of those who live in apartments or don’t have a garden, as well as people who want completely fresh produce even during the cold winter months. Whilst the system is not the first indoor hydroponic system, it is a more affordable option than most, and ideal for those with minimal space. It also fits with Ikea’s notably forward-thinking over the past few years, as they follow an eco-friendly trend towards sustainability.